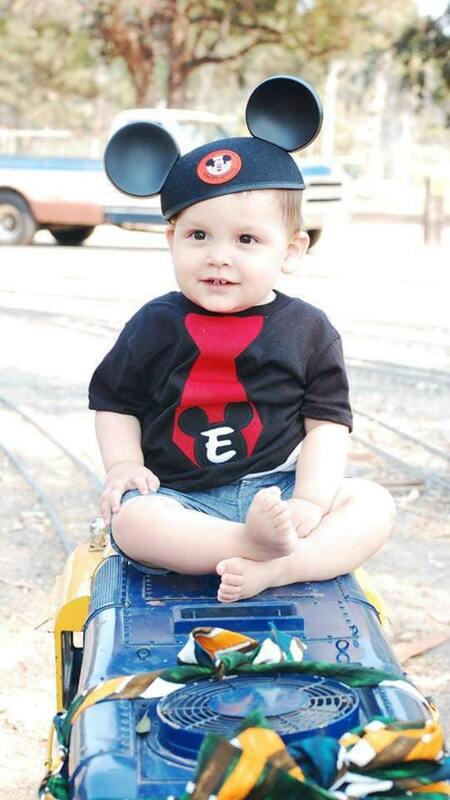 Mickey Mouse, Tie Shirt with suspenders. 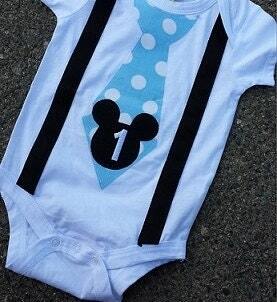 This shirt comes with the suspenders and mickey mouse tie. Embroidery of an inital or number can be added by choosing embroidery at checkout. 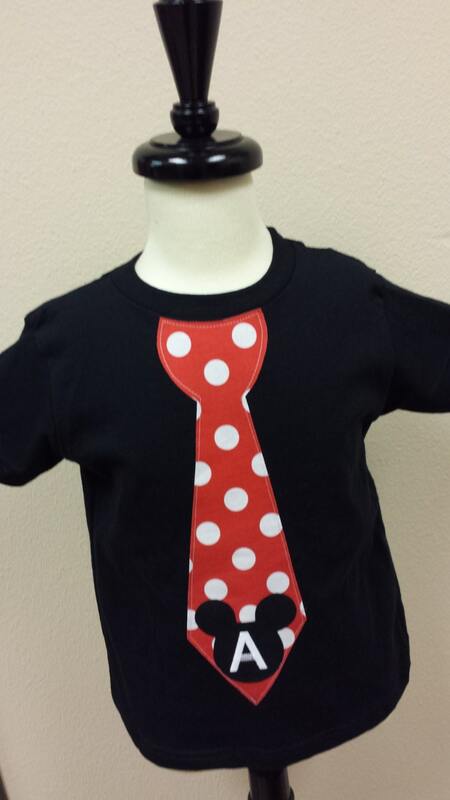 I can custom this shirt with any color suspenders, any color tie, and any color tshirt or onesie. Just message me with your color choice.